Finished some of the remaining few halberdiers who have been langquishing on my desk, almost but not quite painted. There are just two left - the standard bearer and a trumpeter. Whike digging through some boxes in the basement, I aals unearthed the man... err, Hobbit, who started the whole JTC concept. Nob Scrobbleton was my character in a too-brief return to oldschool RPG (2nd Ed. AD&D) a few years ago. 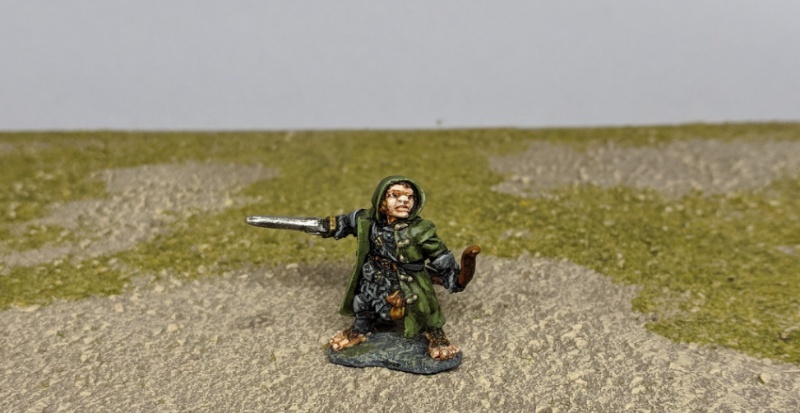 I brought him back as the inspiration for Scrobbleton's Jackrabbit Trading Company, though hadn't really thought about a wargame miniature or using him in any scenarios. Last bit of fluff I published here on the blog (start of the campaign) has him taken prisoner by the Marienburg authorities. At any rate, this Reaper mini is the one I used for Nob in the RPG. Fantastic work ! 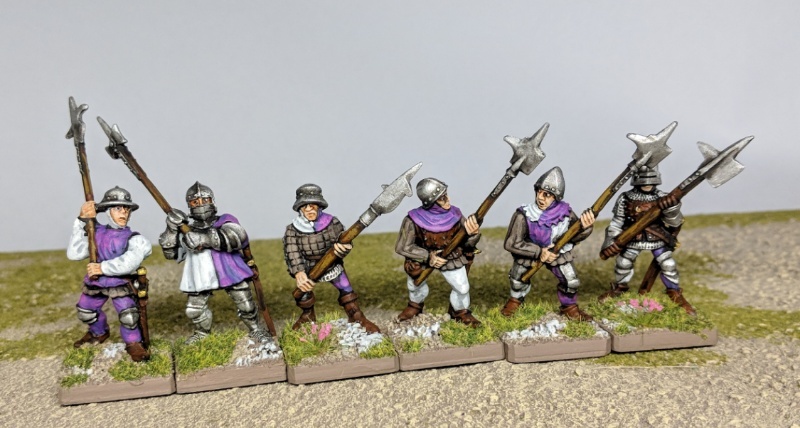 Love the color-scheme of your Halberdiers ! The purple looks awesome !